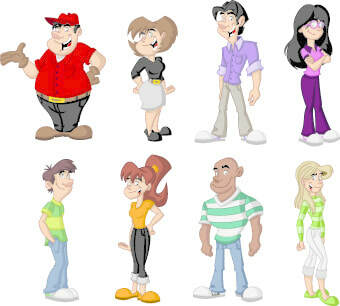 Based on what you learned about adjective noun agreement, can you make up a story, describing the people below. Perhaps they are related somehow, maybe some are friends, family, or teachers. What kinds of things do they do and why?